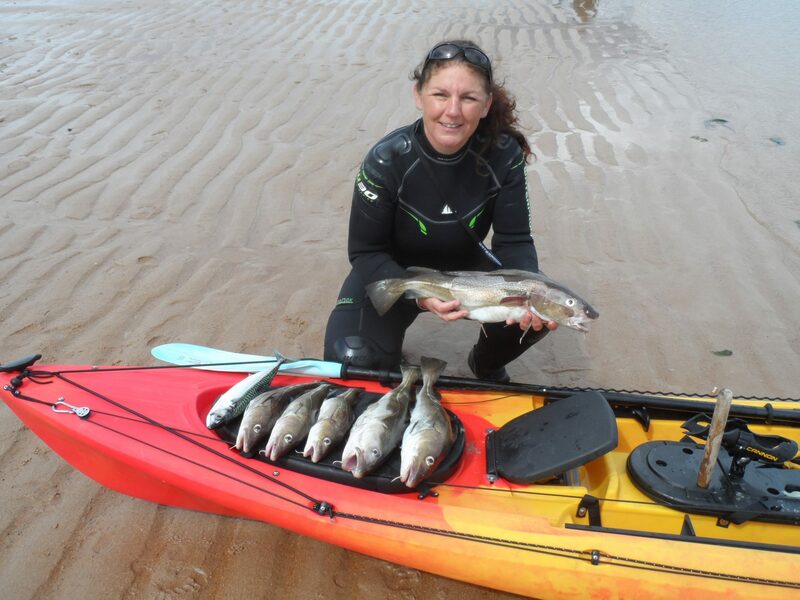 Hi and welcome to my first article for Fishing Tails, I agreed with Sean that this would be a great place not only to share my love of kayak fishing, but also to show off my beautiful county Northumberland, with its diverse coast line, stunning countryside and some cracking fishing both fresh and salt water. 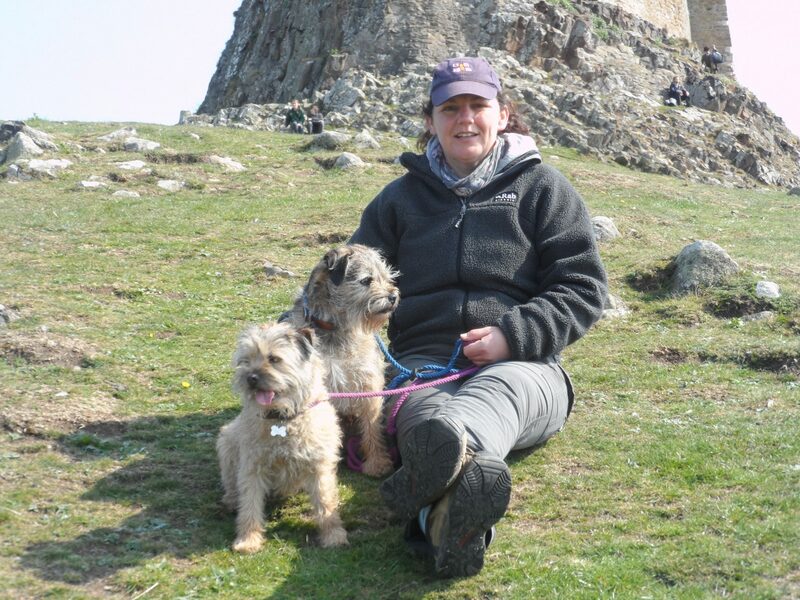 So firstly let me introduce myself, I’m Irene Hodgson, I was born and bred in Northumberland, spending my early years running the beaches at Walkworth, fishing Amble pier, and hand fishing eels in the Couquet, not a thing you’d catch me doing now. I now live and work as a paramedic in South East Northumberland, where I have been blessed with a lovely family, Peter my partner, who is to blame for my passion of fishing, I hate to say it but he taught me all I know, and he himself is an accomplished angler, Rebecca and Ben my children who both study at Astley High, Spanner and Nettle the resident lay about border terriers, and the cheeky girls an assortment of chickens on the allotment. 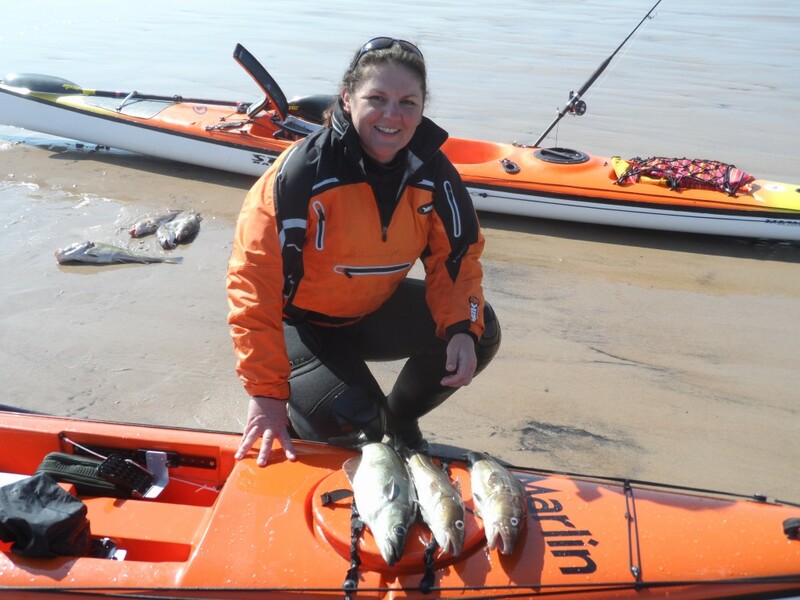 Hopefully my intention is to show that kayak fishing can be for all abilities and by keeping things simple with tackle and set up of your kayak, you can and will be as i have been very successful. 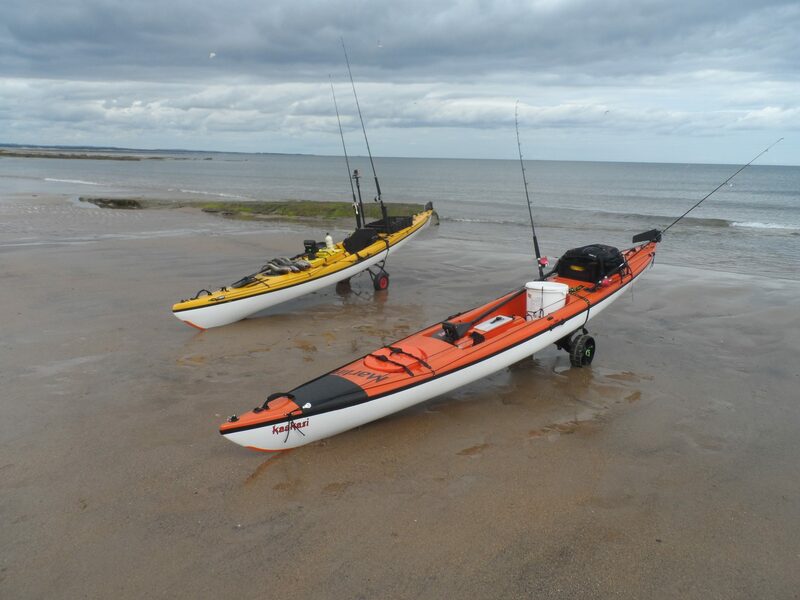 Having a natural fear of the sea and deep water, kayak fishing was not a sport that would of been at the top of my list, but since I was left behind on the beach while Peter and friends paddled off to fish a local comp at Blyth, my first yak was purchased. With this in mind safety is paramount in my approach to kayak fishing, we can all get by with cheap rods but our personal kit must be spot on, at the end of the day your life really is depending on it. 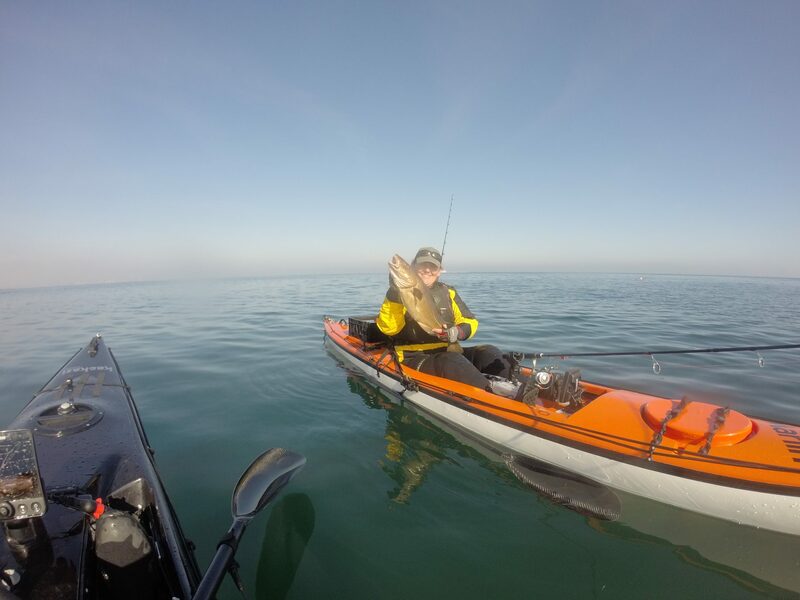 So once the first fish came over the side I was hooked, no turning back, so not long after that I took delivery of in my opinion one of the best fishing kayaks, the Ocean Kayak Trident 13, what a cracking all round yak, but after a few years of successful fishing I wanted to go further afield to wreck fish but needed the ability to get back quick if the weather changed, so I jumped ship from plastic kayak and join Peter in owning a fiberglass one, so a Kaskazi Marlin joined the family. I made the decision to have a Kaskazi Dorado 2 built in South Africa and decided to go for something a bit different, so i’ll be covering the rigging of that once she’s here in a few weeks. This year is going to be a busy one for us, we both have a list of places that we want to fish, several competitions both sea and fresh water, target species, not to mention all the first class fishing we have here on my doorstep to show you all, so the next couple of months will be filled with rigging the new yak, sorting gear and servicing reels, and hopefully a couple of pike fishing trips to a local lake, more about that soon. 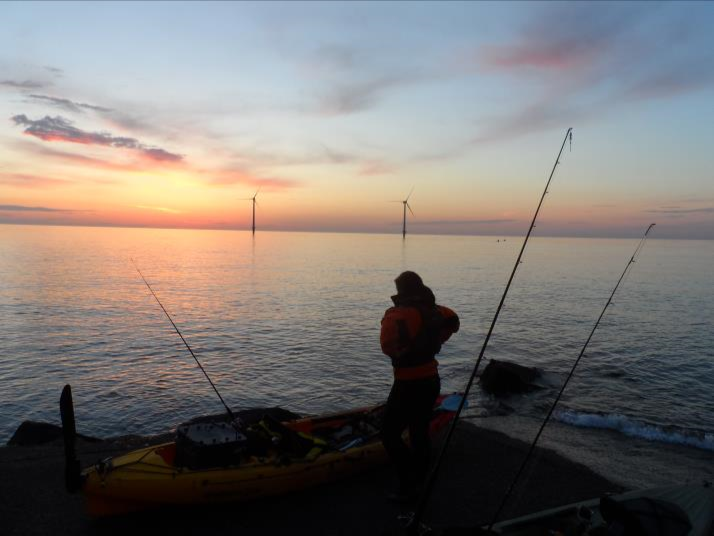 6 Responses to "Northumberland Kayak Fishing Woman"
Nice feature!, looks lovely where you are, looking forward to some inspiration…. Thanks mate, Northumberland is a beautiful county, we have some cracking fishing come and try sometime. As a kayak angler myself I look forward to reading more soon. As a Stealth owner I’m always really interested to see how other glass kayaks perform. 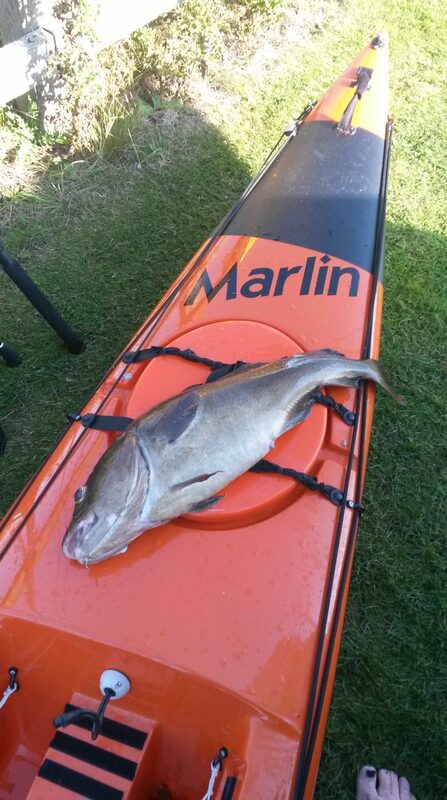 thanks mate, kayak fishing is my passion and I hope that comes across in my future articles. 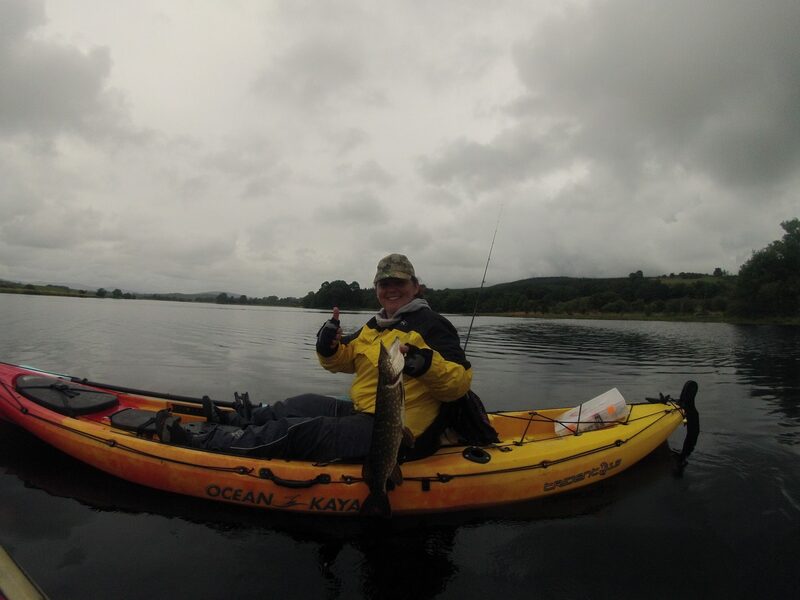 my new D2 comes next week and really looking forward to getting the first paddle in, we’ve had glass for a while now and couldn’t paddle anything else, saying that i still love my Ocean Kayak T13 for pike fishing as glass is a bit too fast. hi the best advice i will give you about a kayaks is what i was told is to try as many as you can because what suit,s one person will not another.you will get away with a wet suit and a cag top for the warmer weather for the colder months have a look at the typhoon range, but the two bits of kit that will save ya life are your PFD and radio. its a fantastic sport so good luck and tight lines.